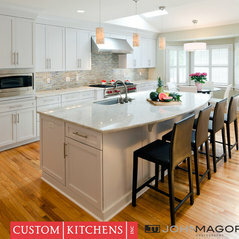 Since 1957, Custom Kitchens has created thousands of distinctive kitchens that continue to delight homeowners throughout the commonwealth. 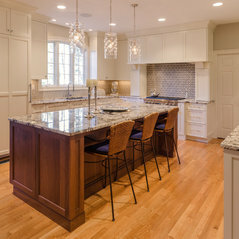 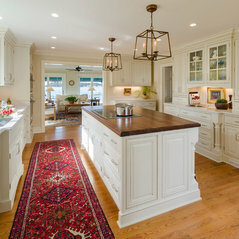 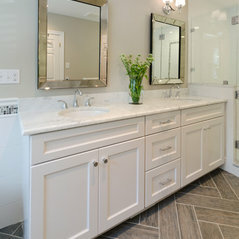 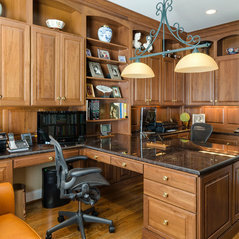 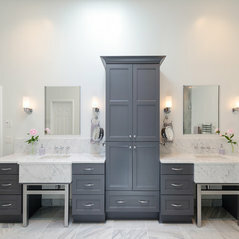 Virginia's most experienced staff of trained designers will work with you to utilize every square inch of your space. 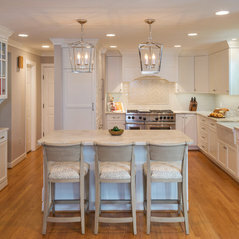 And our in-house staff of experienced craftsman will create and install the furniture-grade cabinetry that serves as the core of your kitchen. 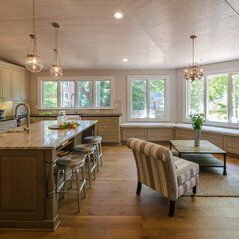 2016 CotY Awards: Grand Prizes "Residential Kitchen over 70K", "Residential Kitchen under 70K , "Residential Bath over 35K", Residential Bath under 35K. 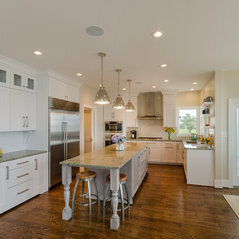 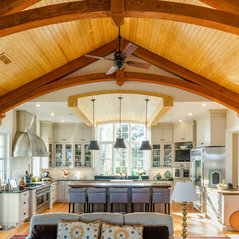 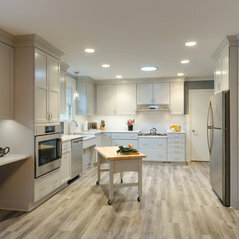 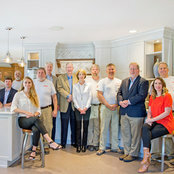 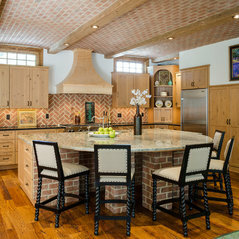 Virginia Living Best of Central Va. "Best Kitchen Designer". 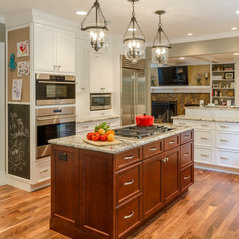 RHome Readers Awards 2016 "Best Cabinetry"
Traditional remodel with walnut island. 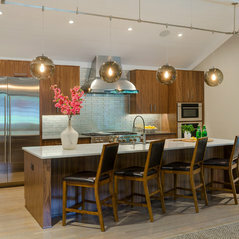 Commented: ChandeliersWe did not provide the lighting for this job, so we do not have that information. 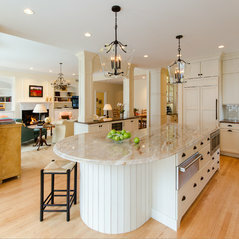 Commented: what color is this graniteIf you are referring to the island top, it is Giallo Verona granite. 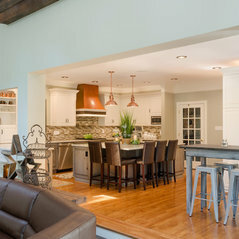 Commented: Pink WallSherwin Williams #6043 Unfussy Beige. 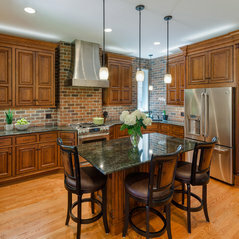 Commented: Great room!Are you looking for dimensions on the entire space or just the kitchen area? 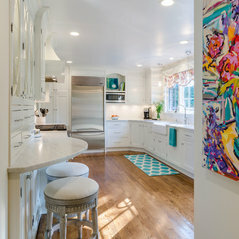 Commented: Do you know what color was used on the walls?We did not provide the paint but will see if we can get the paint color from the client.